Many projects fail because organisations put their practices before their people. This happens when organisations try to make an employee’s human nature and emotional makeup fit their processes and policies. This traditional approach to project management emphasises developing complex guidelines to manage projects across all phases—from implementing phase reviews, performance metrics, and project steering committees to creating risk management dashboards. When this happens, project managers become little more than bureaucrats who manage paperwork rather than projects, and teams may lose sight of the project’s strategic purpose and objectives. The accumulation of meetings, committees, and forms creates more stress and workload, and it rarely improves outcomes. Do project team members know exactly what is expected of them? Are they clear about their roles? Are team members motivated to deliver results? Are they engaged with the organisation and the team? Do team members feel like their opinions are heard and that they can safely express their opinions? Is there someone who motivates team members and recognises their good work? Do team members get along well? Do they care about each other, about quality, and about meeting the project’s objectives? Do team members treat the project stakeholders with fairness, respect, and trust? Do stakeholders trust the project team? Do they feel that the team delivers? Are stakeholders engaged with the project team? Are they passionate about the project and the team? Would stakeholders keep using the project team’s services if they could opt out? How likely are they to recommend the team and its members for other projects? Traditional project management does not give enough attention to these elements because they are more difficult to manage with processes or because they’re dismissed as ‘soft’ issues. Yet they are crucial to a project’s success. Years ago, Gallup reported a key finding about human nature in the workplace: People have emotional needs, and if they are not attended to, the result is subpar performance and increased turnover. Even the best processes and systems are inefficient if the people who run them aren’t emotionally invested in the outcome. To drive performance, organisations must engage their employees. 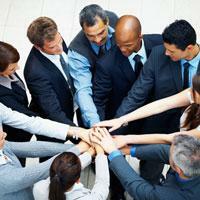 Engaged workers dedicate their energy to achieving their organisation’s objectives. They are committed, enthusiastic, loyal, and excited. Engaged employees are more productive, more profitable, more customer-focused, safer, and more likely to withstand temptations to leave the organisation. They are also more engaging because engaged employees are more likely to elicit engagement from key stakeholders, such as their internal and external customers. A study by Gallup revealed that companies that applied best-practice principles optimising employee and customer engagement at the workgroup level, for example, outperformed their five largest peers by 26% in gross margin and 85% in sales growth. Project team member engagement. Just like any workgroup, a project team needs to be emotionally engaged to achieve its objectives efficiently and effectively. Stakeholder engagement. A project team must have strong emotional bonds and partnerships with its stakeholders to succeed. Optimising performance. Highly engaged teams with highly engaged stakeholders are much more likely to achieve objectives within scope and budget and with high quality. A behaviour based approach to project management works toward optimising performance by actively measuring, managing, and aligning project team member engagement and stakeholder engagement. Benoit Hardy-Vallée (PMP, PhD) is an engagement manager at Gallup Consulting. He is an experienced strategic thinker with proven execution abilities in a wide number of industries, ranging from retail, manufacturing, utilities and IT to insurance, pharmaceutical and banking. Benoit Hardy-Vallée has written 2 articles for us.